Ever since his contract ended with TVB in 2013, Michael Tse‘s (謝天華) fortune grew exponentially after opening up his own company, Laughing Workshop, and entered the Mainland Chinese entertainment market. Having spent fruitless years at TVB, Michael finally gained recognition after his breakout role Laughing from E.U <學警狙擊> in 2009. However, hoping to gain more opportunities in China, Michael ultimately decided to open up his own studio. After the arrival of his son in 2015, Michael began working on daring reality shows such as Survivor Games <跟著貝爾去冒險> a Chinese version of the popular Man vs. Wild program in America. 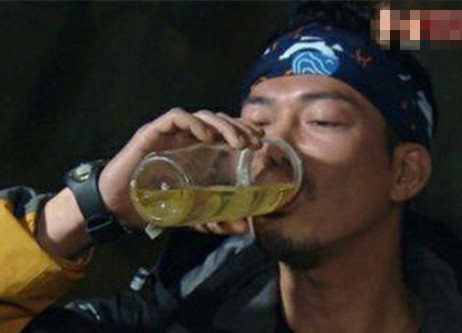 In the show, Michael was seen drinking urine and eating various creepy crawlies in the wild. Although many felt disgusted by what Michael ate on the reality show, the actor’s popularity grew and earned him movie, series, and sponsorship opportunities. On top of his work in China, Michael had a variety of shows in Hong Kong in the recent years, including his Young and Dangerous <古惑仔> tour with buddies Ekin Cheng (鄭伊健) and Jordon Chan (陳小春), and musical play The Storm Show <風雲5D音樂劇>. With his well-paid projects in the last few years, Michael was able to collect over $50 million HKD worth of properties. Although his net worth has grown since working in China, Michael has curbed his late-night clubbing habits. Instead, Michael likes to spend his days off with his wife and son, often playing the role as chauffeur rather than going back to his old partying habits. When he is not out with his family, Michael prefers having some simple alone time at the mall and driving around the city. Does anyone knows if his wife are older than him? The son looks adorable. @cutie777 From the pic above do we doubt it? haha lol…. I think most of them have older wives just like Gallon Law and Michael Tao and Bobby Au Yeung? At least they lasts and didnt get popular and immediately dumped their older wives. 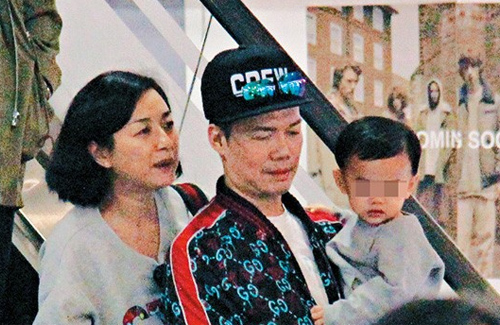 Just like Raymond Wong, his wife looks really old too. @wm2017 I’m just being curious that’s all nothing against older womens with a younger mens. I know Gallen Lo does have a older ex wife then he cheated on her with a younger woman. I have noticed Raymond Wong wife does looks older than him too. I never knew Michael Tao has an older wife and yes you’re probably right about Bobby wife but the last time I heard they’re going through a divorce? Unless I could be wrong. Lol. This day either a men’s go for a real younger womens or a womens go for a younger mens. Kevin Cheng and Grace Chan are a one good sample also there’s Nadia Chan who’s 8 years or something like that younger than her husband. @cutie777 actually Nadia Chan is 8 years Older than her husband ! @thht that’s what I thought too. @cutie777 she’s younger by around 5 years. @jayy thanks I always thought it’s the other way around. Yes, I didn’t goggle her so she actually is younger. lol…. Well, you know the saying, women tend to age much faster than men and that’s why people say women always go for older men to balance it out or something. That’s bs and always a double standard. I mean men dates really young ones and they don’t blink an eye but when it’s the women who are older, they judge so much on it. Yeah, I know Gallon Law was a jerk to first older wife and got a China wife now young too but I didn’t know about Michael Tao. I guess when they became famous and rich they usually do dump their older halves but that dude is not even famous anymore. Micheal Tse is the only one who I feel still looks great for his age. @wm2017 wow. I’m surprised about she’s being younger. Well I don’t know if womens does age fast or not but some still looks good for their age too for sample Gigi Lai and Michelle Reis still looking good for their age maybe they have a better skin and do some makeover? I’m sure his wife might looks good for her age too if she does a makeover? You’re right about Michael he does looks good for his age just like Michael Miu too. Yes, both of those women are still looking great for their age especially Michelle Reis. She is a pretty decent mix she is still very beautiful for her age. Sometimes, it might also be true that if they have the money then obviously they would take care of themselves better but sometimes it also depends some women do look older period. Completely off track but think Julia Roberts. I feel like even at 20 she didn’t look young to me? ahahah LOL…which is better for her now since even if she is aging now it didn’t show as much? Does that make any sense? haha lol…There is also another 50 year old woman who I think looks awesome for her age and her name is Pauline Yeung? Yeung Bo Ling or something …I stumbled upon her on utube videos and her 3rd marriage was to her first love a Caucasian guy and she looks awesome still. She also does come w/money thou so not sure if that also has anything to do with it hahaha lol…….Nadia Chan or whatever however she spells her name now she is 46 or something now?? @wm2017 That is not a nice thing to say about Nadia since she was very sick at the time was bloated from the meds. Steroids cause weight gain and fluid retention. And she was stressed about her ovarian tumour as well. She was probably more worried about her physical and mental health and did not take care of her looks. @wm2017 yes I know what you meant. There’s also Irene Wan she looks great for her age too and Chingmy Yau too maybe? I don’t know but there’s something about Pakho I think he’s got a deep voice heck he’s better than that guy Tony Hung and the silly part is he even can win the most improved award alongside with Grace Chan so when I saw it I was like tvb must be a joke. I would say Owen Cheung and Hugo Wong are way better than Tony. @wm2017 yes that’s what I think sometimes about tvb not taking the award in a serious way. About Lee Mei Fung I have not heard of her in a very long time so not pretty sure rather she age well or not but there’s Rosamund Kwan I think she age well maybe the makeup help her stay young. @cutie777 michael tse hardly seems to age. as for michael miu, he oozes more charm now than when he was younger. never like gallen law. @janet72 yes I have noticed of that too. For some reason I always thought Michael Miu and Leon Lai looked alike. If Michael Tse’s wife tried In-vitro Fertilization four times to get pregnant with a baby (boy) for Michael, she must know that her husband is a good husband. Not every woman is willing to try IVF 4 times to get pregnant for her husband.